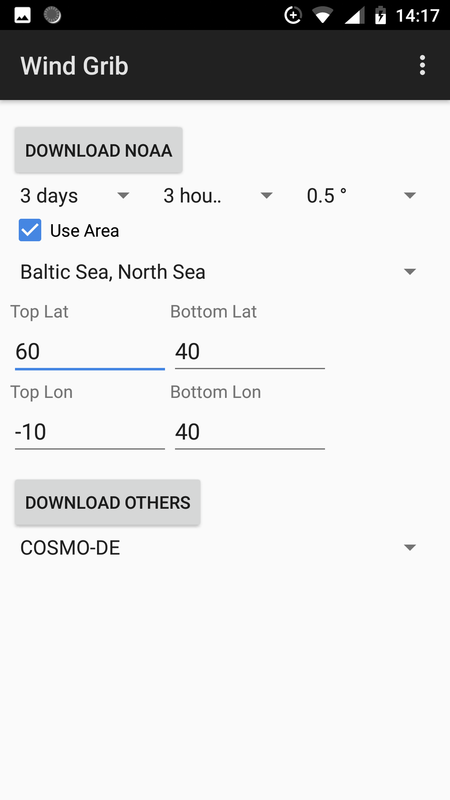 This is a plugin for the Android app AFTrack to get the grib data displayed on a map. To start with you need AFTrack and this plugin Grib Plugin. 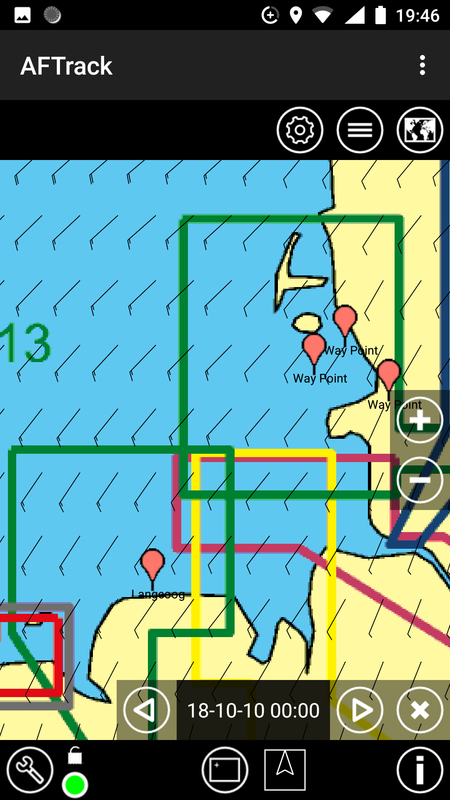 After the installation of the plugin you will find a new entry in the AFTrack overlay button. There is a list of overlay plugins. You will need a grib file (grib 1 or 2, could also be zipped like grb.gz, *.bz2 doesn't work). Get it by download from one of the sources. The file is stored in the system Download folder. 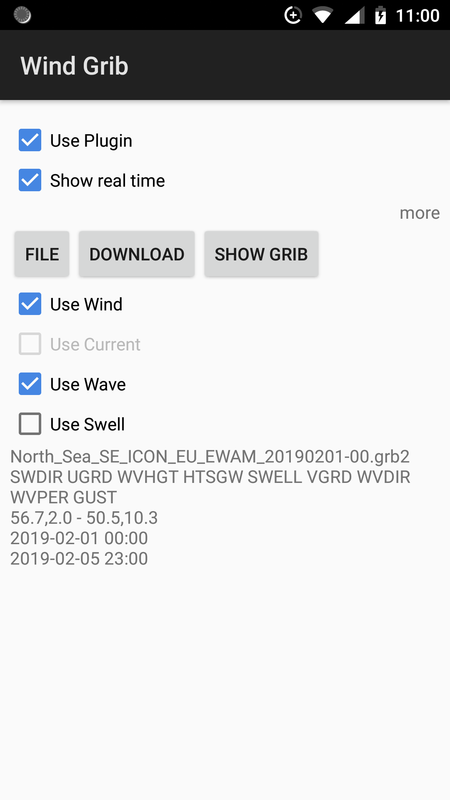 - show the grib time steps, this can be done also with older files that are out of date. 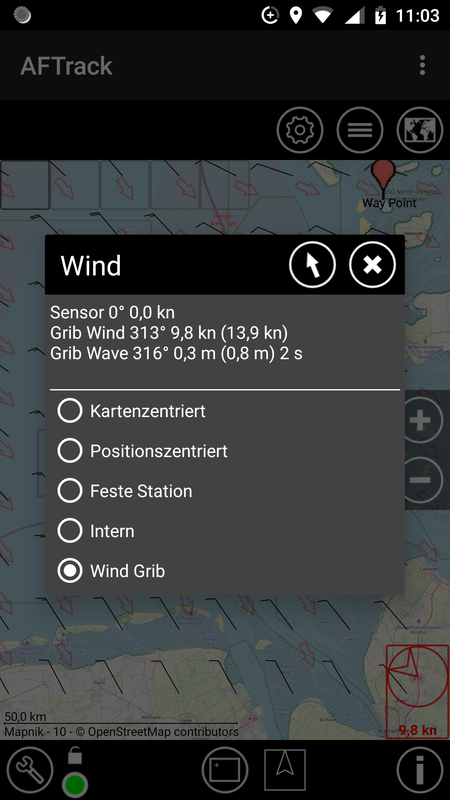 At the moment you can view wind with currents or waves, if available in data file. The plugin is not visible in the app launcher but you will see it in the system settings and inside AFTrack.